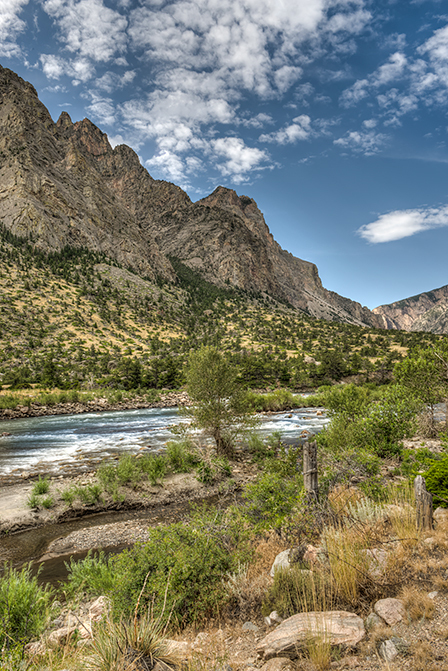 We followed the Morrison trail in the Shoshone National Forest into Clark Fork Canyon. 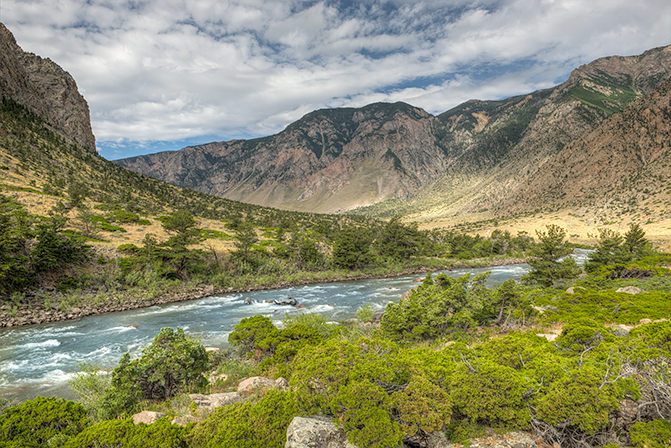 Here is a shot of the fast moving Clark Fork Branch of the Yellowstone River. This is a very popular fishing area. The road is quite rocky and bumpy. The full 22 mile route would have been a very long day. Have driven by Heart Mountain many times and this is the first time we stopped to take a shot in the early morning light. This is cattle grazing land. 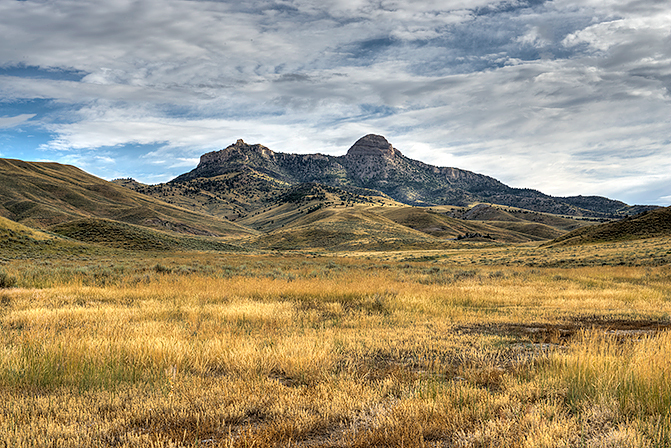 Wyoming has many diverse landscapes. The other side of the mountain is the site of a WWII Japanese interment camp. A sad chapter in American history.